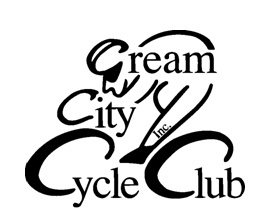 This is the 35th Anniversary CCCC Century Ride, with the same terrific routes as last year's. If you're a previous rider, welcome back! If you're new, you'll like this ride! There are four distance options - 32, 53, 68, and 100 mile routes. Century and 68 mile route riders must start ridieng by 8:00 a.m.
Quiet country roads, with some rolling hills. Shady lanes. Dairy air! Full-service rest stop @ every 16-20 miles on all routes. 4 rest stops on the100 mile route. Great food, home-baked goods. Full sag support. Post-ride showers, pasta dinner, ice cream, and beverages at Waterford UHS. NOTE! Registration Fees increase by $5 on 08/19/2018. Online registration via active.com closes 08/24/2018. T-shirts are an additional $15 ordered now. Limited sizes available on ride day. You may still register in person at Waterford U.H.S on Sunday 08/27. But register early, save a few bucks, and help us plan for your participation! All riders MUST wear helmets! Bring water bottles and tire/tube/repair tool kits!